To get started, you will need to find an efficient HTML 5 video converter to help you make a video in an appropriate format. After finding one, simply download and install it on your PC before proceeding to converting your video. After converting your video, copy the video tag from the converter and paste it in the video player already added to the HTML page. There are a lot of parameters contained in the video tag, so ensure that all parameters within the tag are copied and pasted appropriately. Whether you are a web developer or web designer looking to Embed HTML5 Video on your webpage, you will need an efficient HTML5 video converter to help you make videos to the format supported by HTML5. 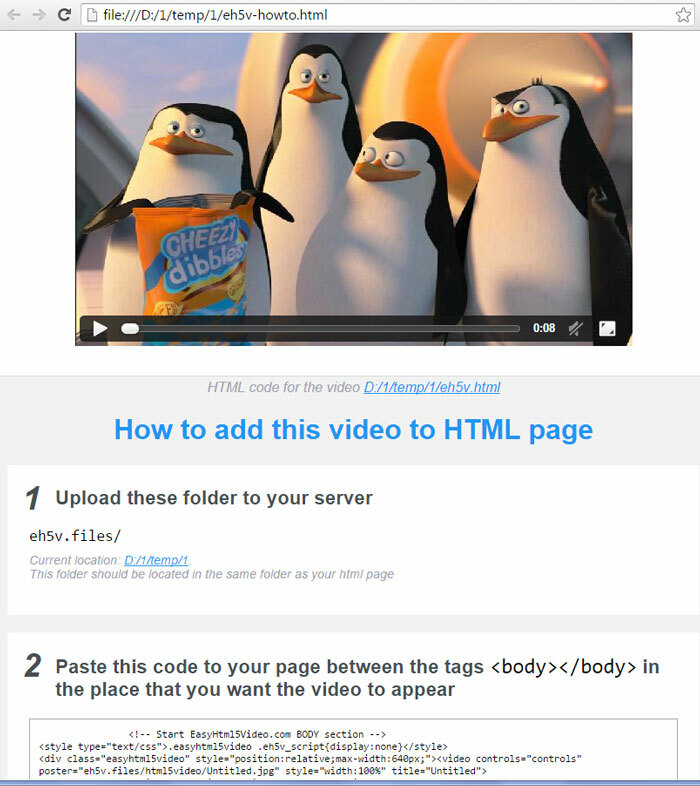 http://easyhtml5video.com is an example of a great Html 5 video converter that is simple, easy to use and very effective.